The token sale for Synthium Health which began on November 27, 2017 is scheduled to end on February 28, 2018. With 13 days remaining for the end of the public crowd sale, it is important to consider Synthium as participation in the token sale could still earn you up to 25% bonus in tokens. Registration is required to partake in the Synthium Health ICO. According to the ICO analyser bot, Benchy, on ICO Bench, SHP has a 3.5 ICO profile of 56% weight. According to the three expert ratings on the site, it has a final rating of 3.6 with a score of 3.7 for its team, 4.0 for its vision and 3.4 for its product. These ratings are on a scale of 1 to 5 and the experts quoted on the site include Nathan Christian, Tarek Roustom, and Rick Tapia. However, the ratings on Track ICO has it as 5.0/5.0. The ICO is currently ongoing and thus some information are still unavailable until the closing date. ICO holder has SHP rated at 3.42 Risky +. 15% of the SHP tokens are reserved to be used as rewards for business advisors, current and future employees. The SHP tokens are subject to a 12-month hold. 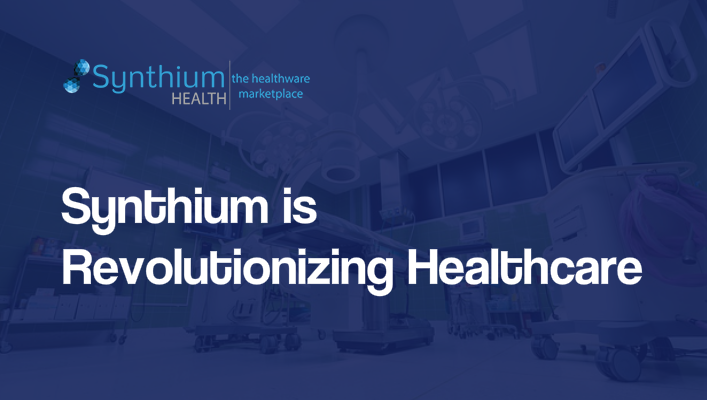 FOX ICO rates Synthium Health 7/10 indicating that it has a strong team, an interesting idea, a unique market – healthcare, and a minimum viable product (MVP). It however also notes that SHP has many competitors. At the end of the Token sale, tokens can only be claimed through cryptocurrency markets and exchanges or through transfers within the platform or from users on the platform. Tokens will be used to register for accounts on the Synthium Health platform as well as to acquire membership access on its portal. The token will also be used to drive the market on the Synthium Health platform as it will be used as currency in place of fiat currency. SHP is designed to be a core part of the platform and determines users access to the platform and payments on it. Public memberships only get access to the Synthium Health platform through buying tokens which allows them to carry out transactions on the retail platform. Buyers such as hospitals, surgery centers and physician groups as well as sellers such as manufacturers, suppliers and distributors in the healthcare industry have a different type of membership from the public, token access. For more information, visit the Synthium Health website. The whitepaper is also available in English, Chinese, Spanish, Italian, Portuguese, French, Russian, German, and Turkish. The SHP website warns all users to be vigilant of scams and only use addresses and instructions found directly on its site. Benefits of FinTech Fans Cryptocurrency and Decentrlaized Staffing. 10 Places To Study Cryptocurrency Courses Online.